Online marketing has created a more than comfortable presence among both small and large businesses alike and with more people than ever flocking to social media sites like Facebook, Twitter, YouTube, Pinterest, Linkedin and Instagram, reaching customers at a moment’s notice is essential. 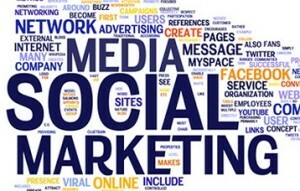 By now, social media marketing should already be in your marketing toolbox. While simply participating in online marketing will boost sales and visits to your website, you have to do more. You have to know how to use each social media tool correctly. Just as you would not use a sledgehammer to hang a picture, you will get much better results by using each social media site to highlight the strengths of each. 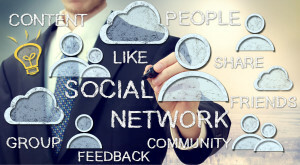 To understand a little more about the way each social media site works, here are a few tips and tricks to help you choose those that work best for your business. The pocketknife of social media sites, Facebook, as a platform, offers an array of options for marketing to your customers. Facebook allows videos, photographs, status updates and advertising. Businesses can host discussions and post sales or links to their website. If you choose only one social media site, go with Facebook. The biggest drawback to Facebook is also the greatest asset. 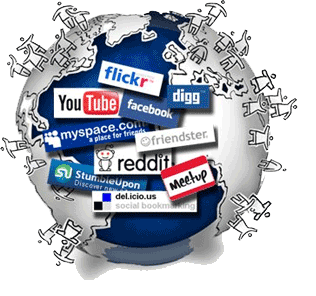 Millions of people use Facebook every day from all over the world. This means that you potentially have access to millions of future customers. The drawback is that millions of people use Facebook every day. It is very easy to have your message lost among the other posts and updates in the newsfeeds. You will have to work for your audience on Facebook. Post at least once daily, respond to comments, and personalize your Facebook page as much as possible. If it is in your budget, utilize the promotion tool on Facebook. Facebook guarantees that people will see your sponsored posts by placing them higher in newsfeeds. Use Facebook to communicate with your customers, inform them of timely events or news, promote your website and display your products. Twitter is a simple, but effective social media marketing tool. Twitter limits the amount of words you can use to 140 characters. While this can make it tricky to say what you need to say, it forces you to communicate clearly and concisely. Users like this because they can get the information they need quickly and, usually, drama free. If you are posting on Twitter make, sure you stay up to date on your posts by Tweeting at least once a day, preferably more. Master the art of the hash tag (#) as this will enable users to find your tweets when they are searching for a specific topic. Twitter does not receive quite as much traffic as Facebook but it holds steady as the second most popular social media site, so do not overlook this one. Use Twitter for quick reminders about sales, short promotions, discount codes and to link traffic back to your website. Pinterest is relatively new to the social media scene but quickly rose to one of the most popular sites around. Pinterest can be tricky for businesses to navigate. There are literally millions of websites and images pinned on this site daily. It can be difficult to get a good foothold here. Pinterest is particularly helpful in promoting website content. To make Pinterest more effective, always include high quality, interesting images with your content. The trick with Pinterest is that people are judging your book by its cover because that is the first, and sometimes only, thing they see. Commenting on other pins and following other boards will make it easier for your pins to reach other people. Keep your content high quality. Pinterest works best if you are consistently updating content on your website. This social media-marketing tool is relatively easy to use and offers benefits similar to Facebook. There are not quite as many users as Facebook, which makes it easier to stand out, but a little more difficult to draw in an audience. You may think that launching a Google+ page is not worth your time because the level of customer saturation on here is not even remotely close to Facebook. However, this is exactly the reason you should consider investing a little extra time to build up your reputation on Google+. It is much easier to get away with marketing mistakes and lapses before everyone starts using it. There are tools here that Facebook and Twitter simply cannot offer, including the ability to host live demonstrations or meetings. This tool alone offers endless possibilities for marketing tools and communicating with your customers in real time. These pages are easy to personalize and needs updating at least once or twice a day. For an extra boost, create or join communities to share your posts.